We’re doing something really different today, and to make it more fun and interactive for everyone, we’d love to see some input from our readers on this one. Today, everyone from the Redmond Pie staff has shared their primary (and secondary) mobile device’s home screen, which we’ve compiled in a neat manner below, and everyone has explained why they have that particular home screen setup, along with which device they’re using and the software / platform version they’re on. But the story doesn’t end here, we urge our readers to do the same. So without further ado, let’s dive right in! This is my primary phone. It’s an iPhone 5s running iOS 7.1.2. I’m a sucker for stock setup, that’s why my home screen looks clean and simple. I’m also into home automation that’s why you see the SmartThings and Dropcam apps right on the first page. 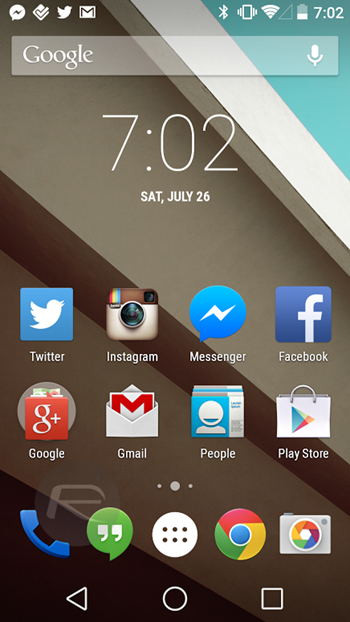 My secondary phone is a Nexus 5. It’s a test device running the latest Android L developer preview. 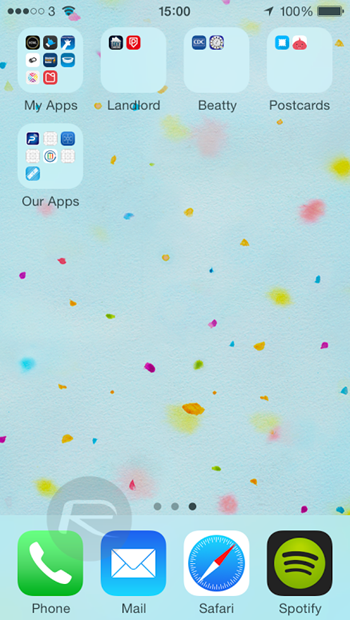 The home screen as you can see in the screenshot is again very minimal, with no over the top customization crap. My primary device is an iPhone 5s running iOS 7.1.2. And truth be told: I’m not into customizing the first home screen page on my device. I like the stock setup since it blends in very nicely with the overall look and feel of the device, and the stock apps, for me at least, gets day-to-day work done in a snap. My secondary device is a Nokia Lumia 630 running Windows Phone 8.1. And there’s a good reason why I have this sort of home screen setup: because Windows Phone’s native app list feature is a huge fail to go through, so I like my most-used apps in one place, front and center. I use an iPhone 5s running iOS 7.1.2. My home screen is probably the least interesting one that you’ll see. I have three main screens. 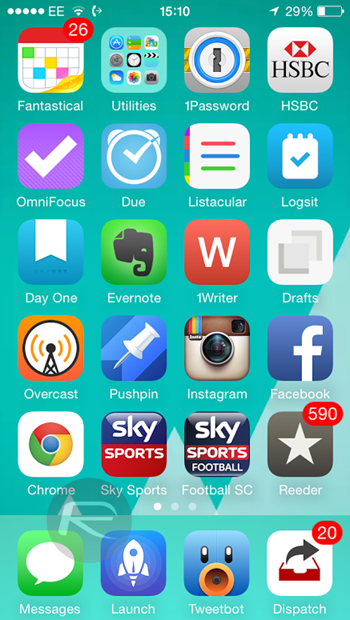 The first contains three rows of apps that are the ones I consider to be the apps most used on a daily basis. 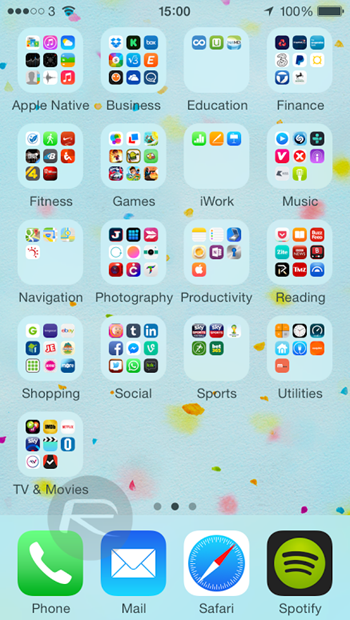 The second home screen contains a number of folders, listed alphabetically, with multiple apps in each related to the folder category. The third screen is a miscellaneous screen that contains my apps in development, client apps and miscellaneous research apps. 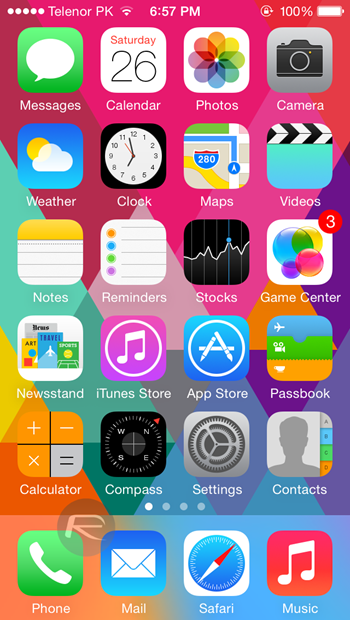 The home screen that I have is from an iPhone 5s that’s jailbroken on iOS 7.1.2. The circular icons are courtesy of a WinterBoard theme that’s applying a mask to any app icon, making it truly uniform and universal all the way. The wallpaper is from the stock Apple collection. 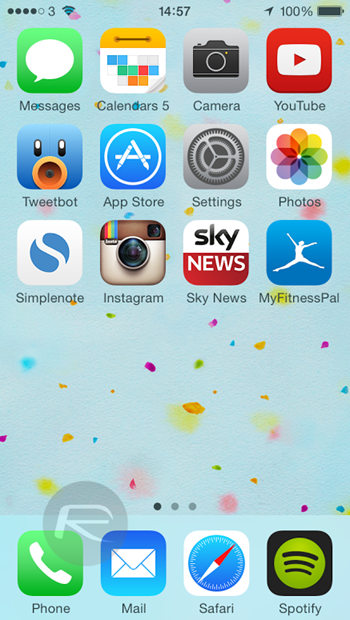 I use this particular setup because it’s easy on the eye, and gives iOS 7 the look and feel that I always wanted. This is the home screen of my spare device, which is an LG L1 running Android 4.1 Jelly Bean, which is currently seeing action on the count of my Nokia Lumia 1020’s touch-screen component having given up the ghost. As you can see, it’s a very basic setup, featuring my day to day necessities like Gmail and Twitter. The launcher I’m using, for those interested, is Smart Launcher Pro, and in my humble opinion, it’s the best home screen alternative on Android. 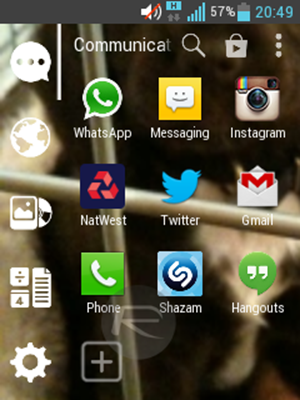 It looks simply amazing on a high spec device like the HTC One, is easy to use, and I’d highly recommend. 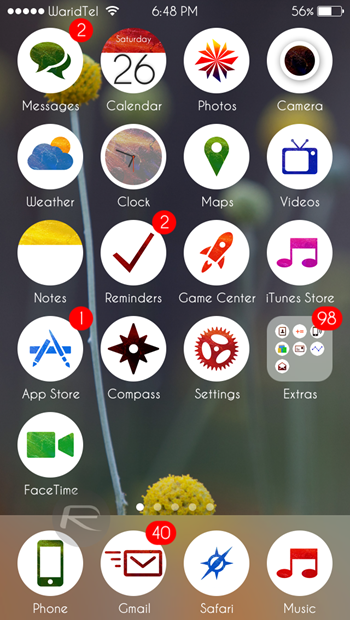 I use an iPhone 5 running iOS 8 beta 4. I keep all my most-used apps in the dock along with Launch Center Pro, which allows me to access common workflows like sending whatever is on the clipboard to my wife. I’ve also ditched the native Mail app in favor of Dispatch, thanks to the way it can send emails to other apps easily, and like half of the Internet I’ve also started to use Marco Arment’s Overcast as my podcasting app. 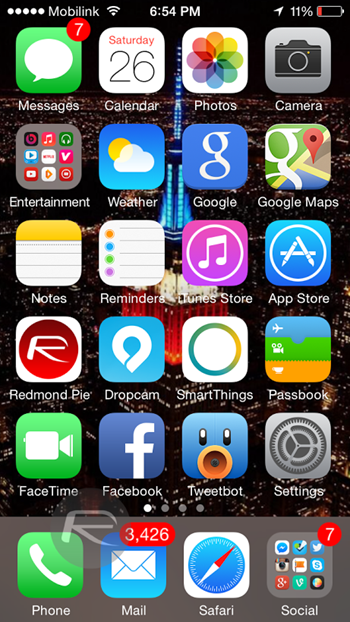 So there you have it, that’s the Redmond Pie team’s mobile device home screen. So what does yours look like? Share them with us in our brand new comments section below, which by the way now lets you even upload images. 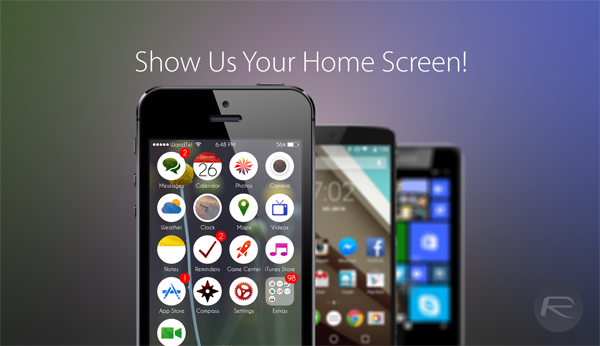 Use this new functionality to upload your home screens and share with us. We’ll pick out the best ones and feature it. Lg g2 with cloudyG3 roms. HTC One M8 KitKat 4.4.3. It’s awesome!! How to do like this? Awesome. How to do this setup? 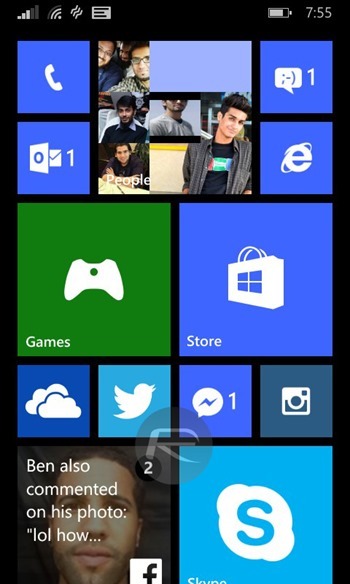 Love the UI of my windows phone. LG G3. Using Apex Launcher and Zooper custom widgets with Min icon pack.